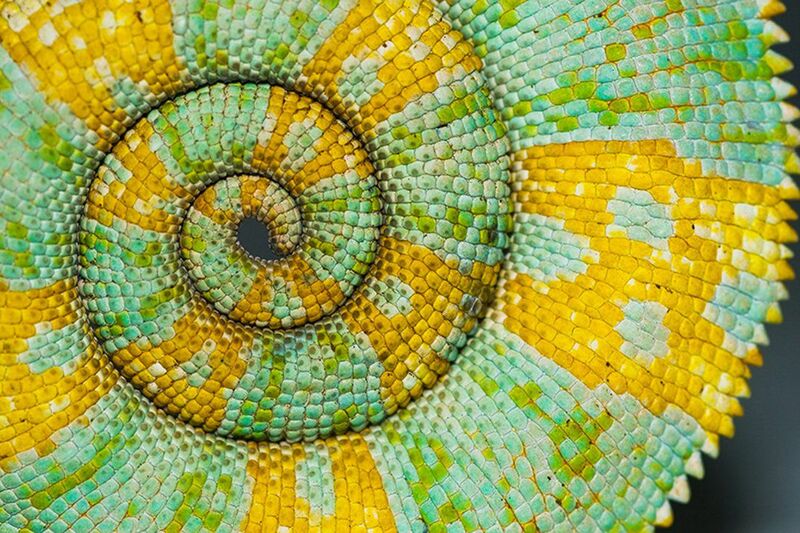 The curl of a chameleon's tail, the spiral of a pinecone's scales and the ripples created by wind moving grains of sand. Each has the power to catch the eye and intrigue the mind. When Charles Darwin first proposed the theory of evolution by natural selection in 1859, it encouraged science enthusiasts to find reasons for natural patterns. The peacock's plumage and the spots of a shark must all serve some adaptive purpose, they eagerly concluded. Yet one person saw all this as "runaway enthusiasm." So writes English scientist and writer Philip Ball. He has a new book. It's titled, "Patterns in Nature: Why the Natural World Looks the Way it Does." Scottish zoologist D'Arcy Wentworth Thompson was pushed to publish his own treatise in 1917. He explained that even nature's creativity is constrained by laws generated by physical and chemical forces. Thompson's ideas didn't clash with Darwin's theory. But they did point out that other factors were at play. Natural selection might explain the why of a tiger's stripes. The stripes likely are a strategy to blend in with shadows in grasslands and forest. It is similar to the way that chemicals diffuse through developing tissue can explain how pigment ends up in bands of dark and light. As well as why similar patterns can crop up on a sea anemone. In "Patterns in Nature", Ball brings his own background as a physicist and chemist to bear. He has more than 20 years of experience as an editor for the scientific journal Nature. The vivid photographs in the book are vital, Ball explains. This is because some of the patterns can only be fully appreciated through repetition. "It's when you see several of them side by side in glorious detail that you start to get a sense of how nature takes a theme and runs with it," he says. Yet he also offers enough detail to intrigue scientists and artists alike. What exactly is a pattern? I left it slightly vague in the book, on purpose. Because it feels like we know it when we see it. Traditionally, we think of patterns as something that just repeats again and again throughout space in an identical way, sort of like a wallpaper pattern. But many patterns that we see in nature aren't quite like that. We sense that there is something regular or at least not random about them, but that doesn't mean that all the elements are identical. I think a very familiar example of that would be the zebra's stripes. Everyone can recognize that as a pattern, but no stripe is like any other stripe. Why did you decide to write a book about natural patterns? At first, it was a result of having been an editor at Nature. There, I started to see a lot of work come through the journal -- and through scientific literature more broadly -- about this topic. What struck me was that it's a topic that doesn't have any kind of natural disciplinary boundaries. But I think also it was the visuals. The patterns are just so striking, beautiful and remarkable. Then, supporting that aspect is the question: How does nature without any kind of blueprint or design put together patterns like this? When we make patterns, it is because we planned it that way, putting the elements into place. In nature, there is no planner. But somehow natural forces conspire to bring about something that looks quite beautiful. 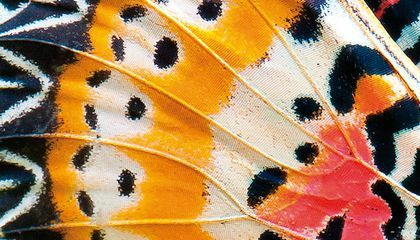 Do you have a favorite example of a pattern found in nature? Perhaps one of the most familiar but really one of the most remarkable is the pattern of the snowflake. They all have the same theme -- this six-fold, hexagonal symmetry. And yet there just seems to be infinite variety within these snowflakes. It is such a simple process that goes into their formation. It is water vapor freezing out of humid air. There's nothing more to it than that. But somehow it creates this incredibly intricate, detailed, beautiful pattern. Another system we find cropping up again and again in different places is a pattern that we call Turing structures. They are named after Alan Turing. He was very interested in how patterns form. Turing came up with a theory. It was basically an explanation for how a whole bunch of chemicals that are just kind of floating around in space can interact as to create differences from one bit of space to the next. In this way, the seeds of a pattern will emerge. Now, it seems that something like this might be responsible for the patterns that form upon animal skins. And some patterns we see in insects as well. We also see them in sand dunes and sand ripples forming after wind has blown sand. You mention the fact that science and math hasn't fully explained some of these patterns yet. Can you give an example? We've only really understood how snowflakes get these branched formations since the 1980s even though people have studied and thought about that question for several hundred years. Yet even now it is a bit of a mystery why every arm of the snowflake can be pretty much identical. New forms of patterns are being discovered almost as fast as we can find explanations. There are strange vegetation patterns in semi-arid regions of the world. There are patches of vegetation separated by patches of bare ground. What do you hope readers will find in the book? I remember when I was halfway through writing my first book in 1999. I was on a beach in Wales. I suddenly realized that everywhere there were patterns. In the clouds and the sky, there were different patterns. There were wave patterns and so on in the sea. You start to see patterns all around you. I hope that people will find this happening to them that they'll appreciate how much structure surrounding us is patterned. Why do we look for patterns to help us learn and understand? We look for patterns to help us learn and understand because we can recognize most patterns we see. For example, when we see black and white stripes, we may think of a zebra. Philip Ball claims that, "a very familiar example of that would be the zebra's stripes. Everyone can recognize that as a pattern, but no stripe is like any other stripe." I think it's interesting how we are able to recognizes the millions of patterns out there in the world of nature. Because sometimes it helps understand other kinds of life along with animals and it even helps us survive because we always listen to patterns and that could help when we are in trouble also patterns lets understand plenty of other stuff to like food animals and a lot of other things. We look for patterns to help us learn and understand because we are able to recognize most patterns we see. "Patterns are being discovered almost as fast as we can find an explanation." (paragraph 15) I found this article interesting because I didn't know nature patterns were that detailed. We look for patterns to learn and understand because we usually recognize patterns that we can see. For example we recognize black and white stripes as zebra's stripes. This is a pattern most people see however no stripe is like any other stripe. I find it interesting that us humans are able to recognize thousand of patterns in nature. People look for patterns to try to relate things to each other. for example people relate black and white stripes to a zebra. We try to use patterns to help understand other things. I believe all of this because as kids we are first learning and to better understand things and the best way is to relate things to other things. We as humans look for patterns to learn and understand about why some things have their patterns and how the patterns got there. It lets us learn many things we didn't know before. I was also very interested in why there are some patterns in nature, they are very interesting. We look for patterns to help us learn and understand because patterns can be easily recognized. The stripes on tigers and zebras are two patterns that are very easy to notice. Scientists have concluded that patterns such as these were created as a result of natural selection because, in a tiger's case, the stripes help it blend in and catch prey easier. Patterns such as these can help us identify how evolution took place in certain specific. I thought this was interesting because I always wondered why certain animals have certain patterns. We look for patterns to help us learn and understand because we can recognize them and get used to them. For instance,most people would recognize a ladybugs pattern. The article states " a very familiar example of that would be the zebra's stripes. Everyone can recognize that as a pattern, but no stripe is like any other stripe ". I thought this article was interesting how our brain can memorize all of these different patterns. Most of the times looking at something we try to find patterns that we recognize because it is easiest for us to learn from something we recognize. I junk it's interesting how me can recognize so many with so many in the world. One of these patters are zebra stripes.